The choir will visit offices around London while wearing outfits that are shoppable via Instagram. Harvey Nichols is bringing festive fashion straight to their customers with the "world’s first" shoppable Christmas carolers. Over a four-day campaign starting on 29 November, the carolers will be dressed in Harvey Nichols party outfits that are fully shoppable via Instagram. 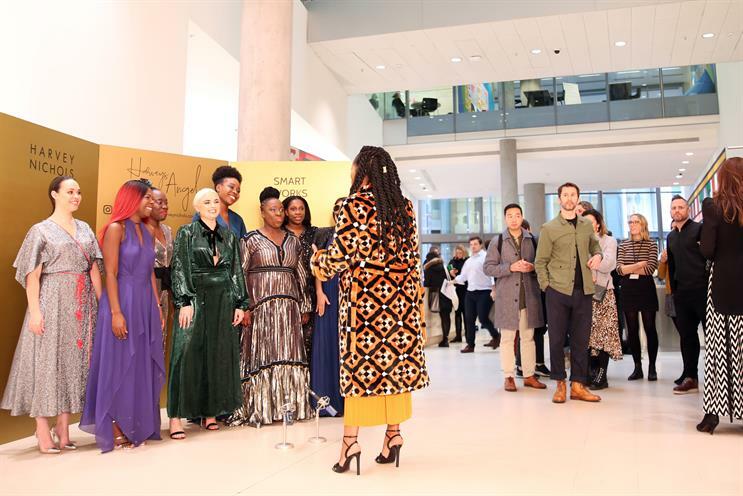 They will visit London offices including Google, The Telegraph, Estée Lauder and Harvey Nichols itself, while singing an untraditional mash-up of carols and party anthems. During its Christmas initiative, Harvey Nichols will donate 10% of sales from its Knightsbridge store and online to Smart Works, a charity that offers dressing and interview coaching services for women entering the world of work. Deb Bee, group creative and marketing director at Harvey Nichols, said: "Christmas is the fashion season, because it’s also party season. But we know that our customers are rushed off their feet. So we have partnered with Smart Works to raise awareness of this partnership and help busy women in London find a party outfit even if they can’t take time out of work. "This will be delivered in the most Christmassy way we know: with a fun, glamourous, party-song-singing, shoppable Christmas choir." The campaign was created by Jessica Grogan and Natasha Eastwood at TBWA\London. TBWA\London chief executive Sara Tate added: "The one thing that many working women wish for during the festive season is the gift of time! By devising the world’s first shoppable Christmas carol choir, we are not only bringing some festive cheer, we’re also bringing them an incredibly convenient way to shop for the hottest party looks during this hectic season."